Get an EVGA 1070 Ti for $360 and an EVGA 1070 for $300 on sale today. It’s the last deal recommendation of 2018, and we’re going out in gamer style. B&H Photo Video has two great deals on Nvidia GeForce GTX graphics cards from EVGA. It’s not clear when these deals expire so I’d suggest taking advantage as soon as possible if you’re in the market for a new GPU. To get either of the deals mentioned today you have to click the Clip Coupon button above the price on the product page. First up is the EVGA GeForce GTX 1070 Ti SC for $360Remove non-product link. That’s not quite as good as the MSI card we saw last week for $339, but $360 is still a good deal considering most 1070 Ti cards start at $400. The GTX 1070 Ti is a solid choice for 1440p gaming on faster gaming displays such as 144Hz. If you’re gaming at 1080p you can just max out everything and have a great experience. 1070 Ti will also tear apart pretty much any VR games you throw at it. 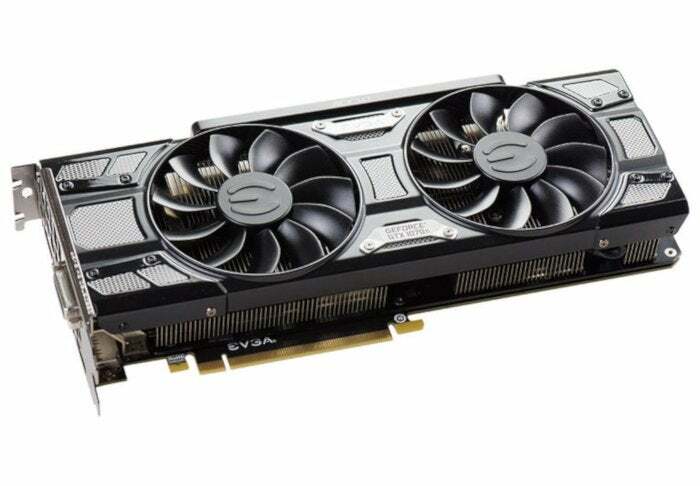 If you want to go a little cheaper and still get a good card for 1440p and 1080p, the EVGA GeForce GTX 1070 SC Gaming Black Edition is $300Remove non-product link. Another good deal considering the 1070 is usually $380 or more. With the GTX 1070 you can get solid performance on 1440p and 1080p displays at 60 frames per second, and again on 1080p displays you can max out all the settings for a solid gaming experience. This story, "B&H has some great year-end deals on GTX 1070 and 1070 Ti cards " was originally published by PCWorld.